Taking 1-87N, you get off at exit 21A heading toward Interstate 90E. After exit B2, you bear right toward the signs that read "East Chatham, NY." The excitement builds. As you wind your way through the town, you make a right onto the bridge of Sayre Hill Rd. Your excitement is now palpable. You scroll through your iPod to find "the right" pump-up song that mimics the anticipation you've been containing since last summer. Euphoria kicks in. To the unseen eye, this entrance just looks like a narrow dirt road opening with a small sign that reads "Plast Vovcha Tropa." Dust kicks up as you drive up the hill. The forest opens up the further you go up, just as if you were getting closer to the center of an onion, surpassing all of it’s layers. To many Ukrainian American scouts and their families, it is the place where you leave your "real world" behind. This magical place acts as a microcosm for your Ukrainian scouting life. You leave worldly, familial, and monetary problems at the bottom of the hill and forget about everything that's happening beyond the border of this property. It's as if you have come back home. Plast, is a Ukrainian Scouting Organization which was founded 105 years ago in L'viv, Ukraine. 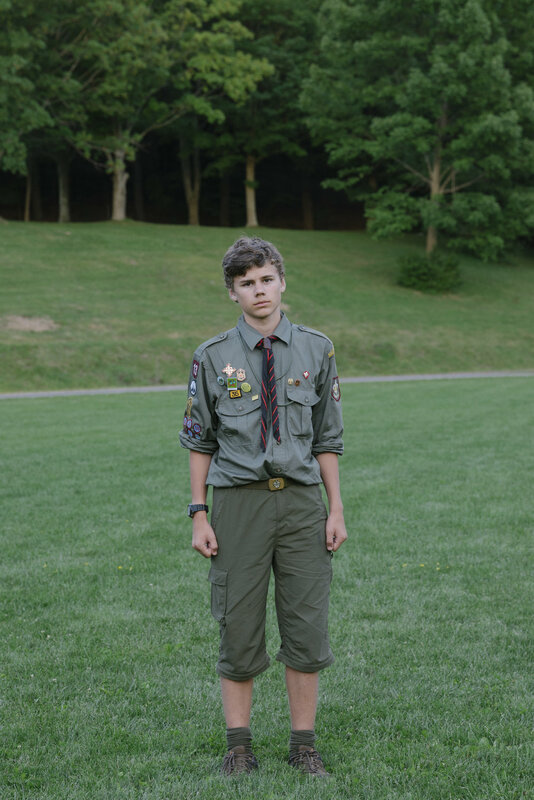 One of the founders of the organization, Dr. Oleksander Tesovskij started the scouting organization as an after school programs based on Lord Bayden Powell's revolutionary book "Scouting for Boys." 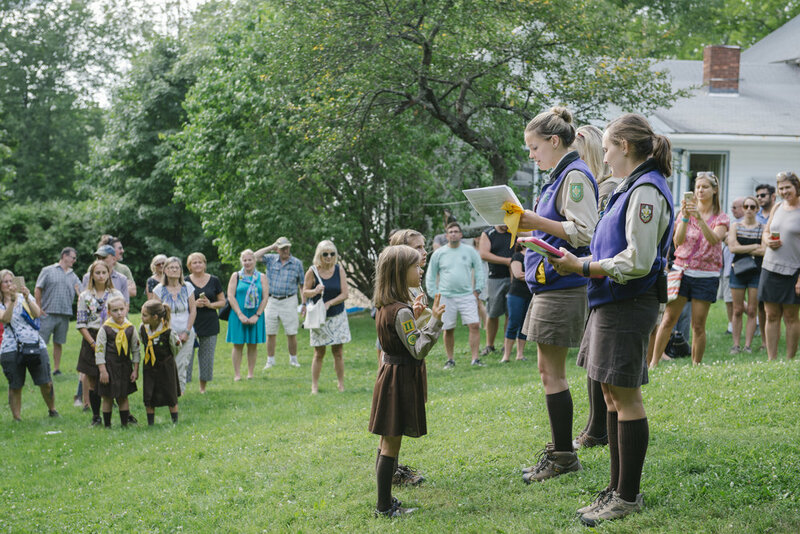 The organization has always been an inclusive one, as long as you follow the scouting values and adhere to the scouting oath: Love God and Ukraine, Help Others, Obey the Scouting Law, and Listen to your Elder Scouts. 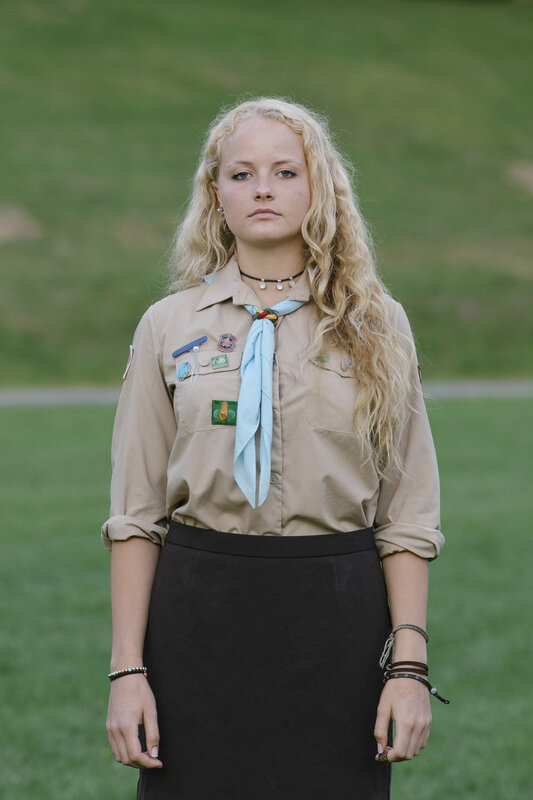 Each patch and each neckerchief has significant meaning within the organization. 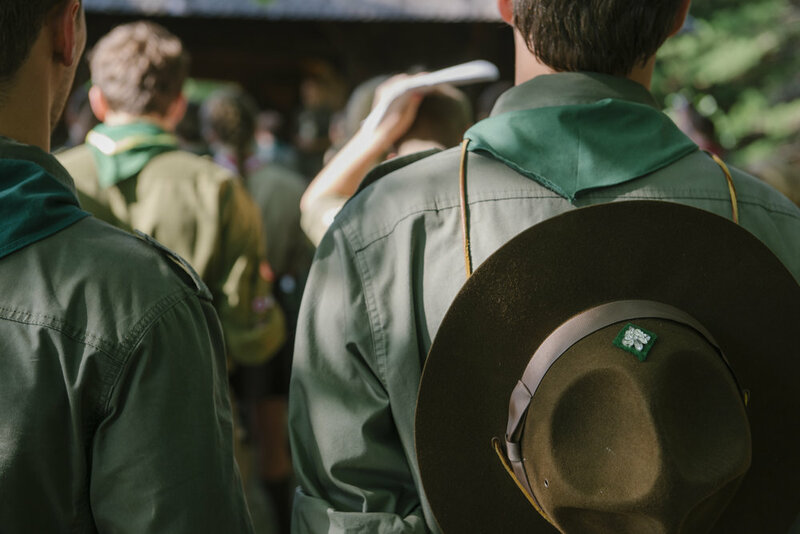 There is a history behind each and every scout's uniform. You wear your personal Plast history on your back as a badge of pride. The organization has had a turbulent history, in which it has lived as a secret organization in the undisclosed locations throughout its first 30 years. After WWII and with the help of German Displaced Person's, or DP, camps, Plast was able to travel beyond the borders of Ukraine. It spread like rapid fire in the diaspora, touching all corners as far as of Australia, Canada, Argentina, the United States, and other Western European countries. The diaspora were like the embers of a fire, in which we kept the organization burning for eighty years beyond the borders of Ukraine. 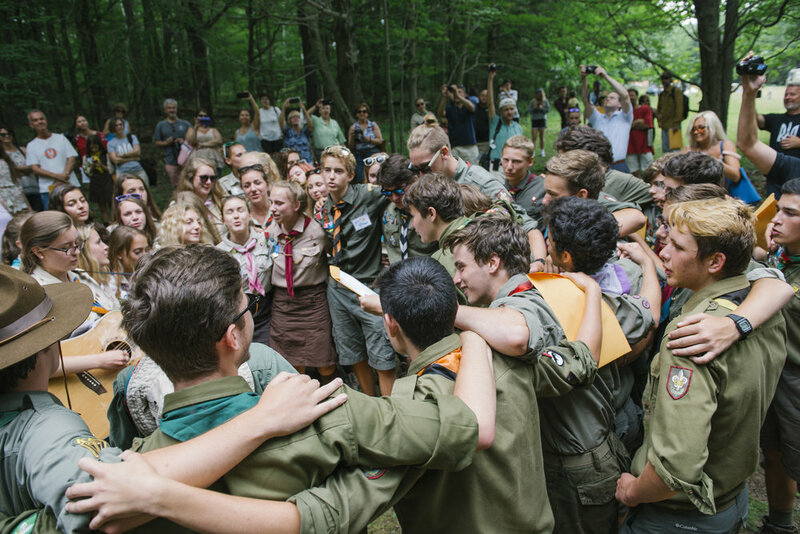 After gaining its independence in 1991, Ukraine received excitedly welcomed back is scouting organization, which is now thriving as the most populated country with Plast scouts. An unwritten goal within Plast is self-education. Campers are supposed to learn about themselves, their personal strengths and weaknesses, through individual and group activities. 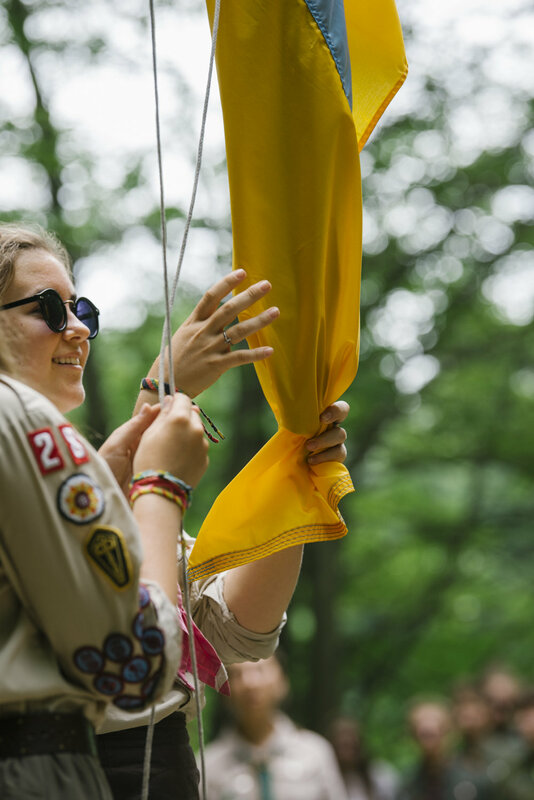 Campers transcend their experiences into personal accomplishments from each summer. A big part of this transformational push involves the help of counselors. The counselors have grown up within the organization themselves. 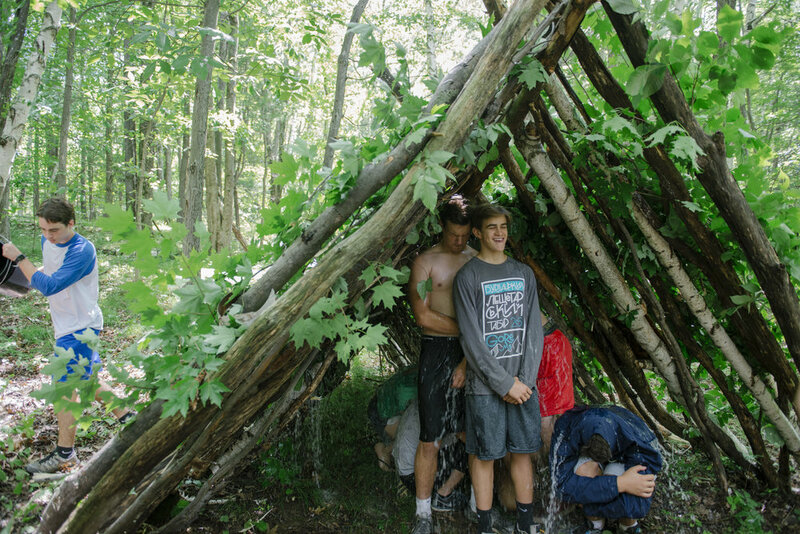 They use their own experiences as educational opportunities for their respective campers. Counselors not only lead by example, but also learn from each other and from their own campers. 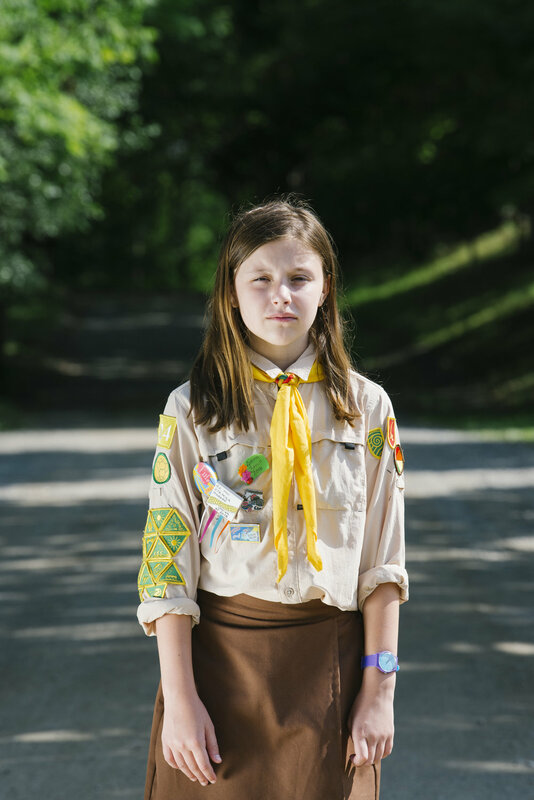 Some campers even have 'favorite counselors', whom they try to emulate when they themselves become counselors. 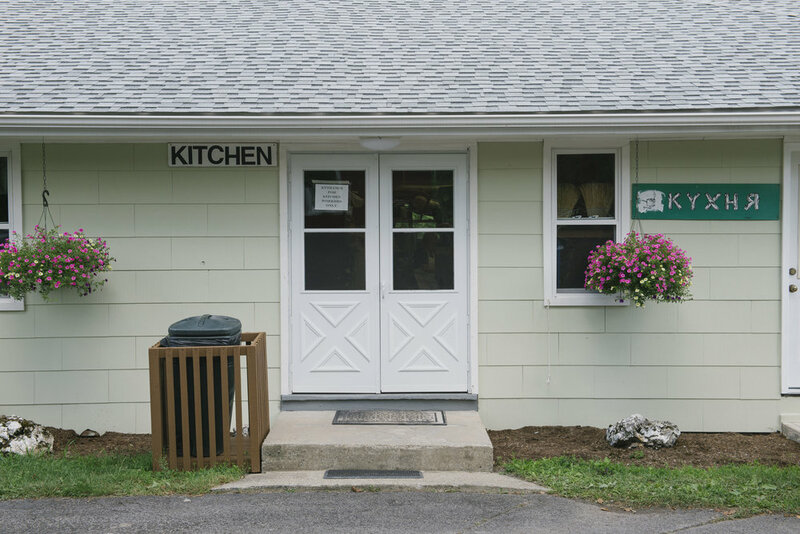 It's this camper to counselor cycle that allows Plast to have had a 100+ year history. Vovcha Tropa is currently one of three campsites in the United States utilized by Plast Ukrainian scouting organization. 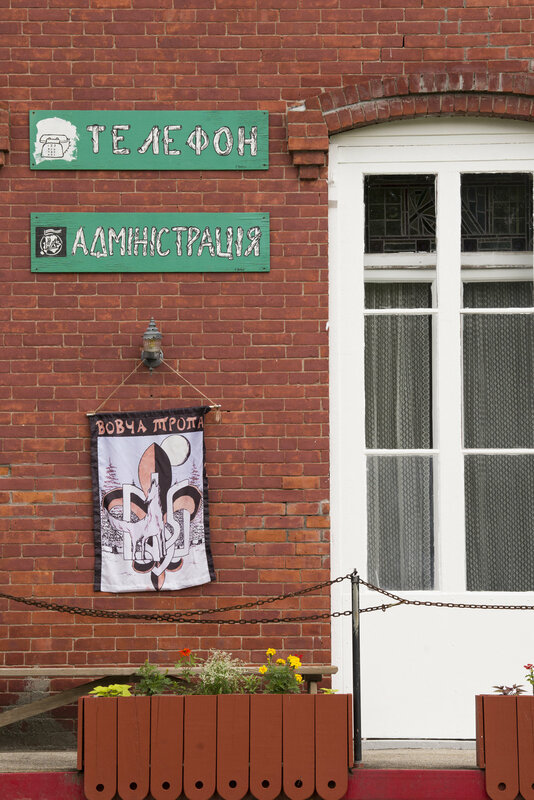 Established in the 1950s, post-WW2 immigrant Ukrainians purchased this property for their next generation. 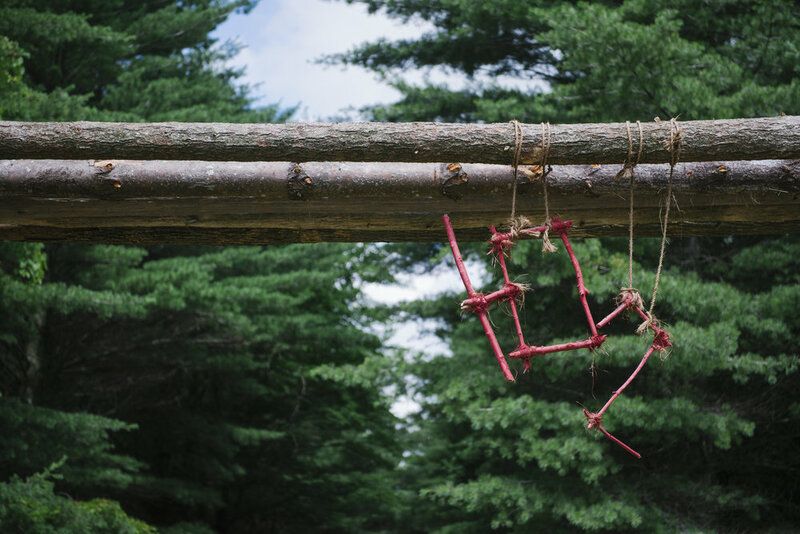 50 years later, the 300+ acre forest located in East Chatham NY has hosted thousands of campers, hundreds of camps, and even two international Ukrainian scouting jamborees. Today during the month of July, five camps ran concurrently with campers ages 7 to 16 and counselors ages 17 to 25. This transcendent location in Upstate New York acts as a backdrop for many coming-of-age stories, myself included. Vovcha Tropa leaves an energy within us that can only be unlocked when are surrounded by its borders. Camp stories live within the land and among the buildings. Some may see an old red brick building surrounded by simple white barracks but I see an infinite amount of triumphant and turbulent stories. The picturesque landscape is where I have had my greatest personal challenges, along with many of my personal triumphs. It's where I have met some of the closest friends, that I now consider family. Vovcha Tropa is where learned about the passing of my grandmother. I have been a camper her for ten years. I've been a counselor here twice. I've run two of my own camps here as a camp director. Every corner oozes with a story or scenic memory. Many people ask, "why do you still go up," "why do you do it," or even "why do you make the four-hour trek every weekend to just stay for a few hours?" And to be honest, it’s ineffable. I do not have the words to describe the feeling Vovcha Tropa emulates and the energy it gives me. 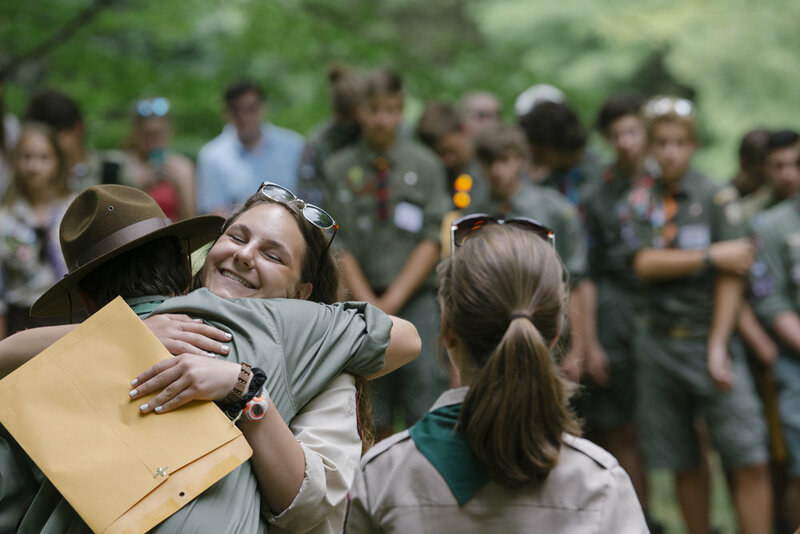 This small-but-powerful community comes together to make campers’ summers memorable, in which one day, these campers will do the same for the next generation. I grew up here...it is because of Vovcha Tropa and Plast Ukrainian Scouting Organization that have made me who I am today. Everyone can connect with a place that has personally changed them. A physical location where they have had the ability to reach heights far greater or bigger than themselves. Everyone can remember a place where they "came-of-age" A place that has made such an impact on their lives that the only way to thank this place to to give back to it and its current personnel. It just so happens that for me, this place is located East Chatham, NY off of Exit 21A on I-87N.